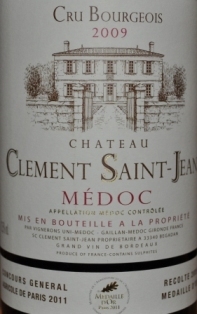 Another good Bordeaux option from Costco at $11.79. A Cru Bourgeois priced this low is a rarity. The wine is very nice after a little air. I could tell after the pour that there was something nice hiding in the bottle. But it took a good 20-30 minutes with occasional swirling to bring this one to life. Nose was interesting, almost had a little cinnamon to it; in the mouth the wine felt a little dry and tight at first. After some time with it, the flavors mid-palate really began to open up. This wine accelerates and decelerates rather quickly. But it’s a fun ride. Mostly Cabernet in the blend, the flavors are really nice. Juicy red fruit, leather undertones, lots of spice and a little of that cinnamon on the close. This was a fun wine to review, and a solid pick for under $12.